Four-seater 'leccy hatch for under £7000, anyone? Exclusive The Register can bring you exclusive details and images of what could become the UK's most affordable electric car. Bee's Bee.One: four-seater EV for seven grand, anyone? 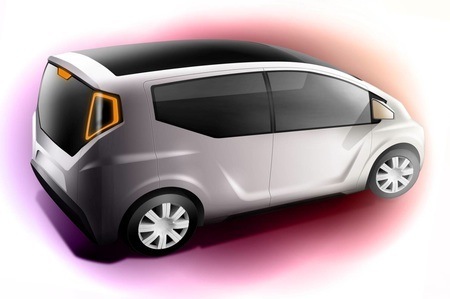 The four-seat, five-door Bee.One from British e-car start up Bee is scheduled to go into production in 2011 with a target price of £12,000 ($17,700/€13,600). And that's before the £5000 ($7400/€5600) e-car subsidy the government recently announced. Designed primarily as a second car, the One will be pitched at buyers who want a 'leccy vehicle for local use rather than as a replacement for the family motor. Speaking to Reg Hardware, Bee boss Stephen Voller described the government subsidy as a tipping point that should make e-cars a genuinely attractive mass-market proposition. According to Bee, the One will have a top speed of 80mph along with a maximum range of 200 miles. That 200 miles is at an “average speed”, though - keep the needle at 80 and it decreases to 100 miles. Power will come from two modular battery units mounted under the floor, each designed to be easily removable in anticipation of battery-swap stations springing up across the land, or for when new and superior battery chemistries make the purchase of an improved power pack a sensible option. 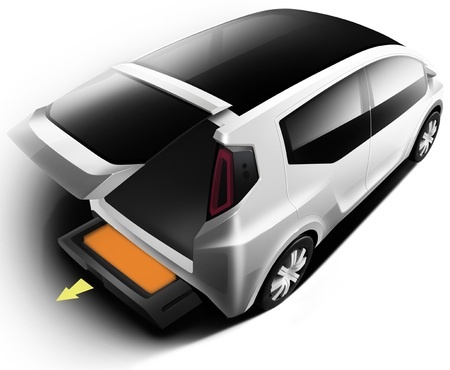 Drive comes from two electric motors that power the front wheels. Bee say that the One's dual motor set up will be unique and does away with the need for a heavy and expensive differential. Each Bee.One will be permanently hooked up to a 3G cellular network that will allow updates to the car's management system software to be downloaded, and performance and usage data to be sent in the other direction. Drivers will then be able to log on to a dedicated personal web page to view the information and also to arrange service work as and when the One's diagnostic systems think it necessary. A service partner is already in place, Bee said, which will turn up at your doorstep and take your car away and then bring it back - all arranged on line - making the One ideal for those drivers who resent having to deal with garages and filling stations. In the interests of weight and cost, the One will forsake a conventional in-car entertainment system in favour of an iPod dock which Bee sees as being more than adequate for most drivers ICE and navigation needs. The company is also working on ways to hook up BlackBerrys and other smartphones to the One for the chronically iPhone-phobic. Unlike some e-car start-ups, Bee has conservative expectations and expects to make just 12,000 Ones a year to begin with.